Demigod Clayton Kershaw showed his mortal side today, giving up three runs in five innings while laboring through 106 pitches. Kershaw uncharacteristically surrendered three walks to go along with seven hits, but got out of a disaster start by striking out nine. His 2014 season ERA was raised to 1.80, proving it would’ve totally been like 8.50 in 1999 or whatever. MVP? More like one of the worst to ever take the mound. Despite him being the worst pitcher in history, the Dodgers still managed to get him his 20th win on the season. The team totaled 13 hits and six walks, including three doubles and four homers. 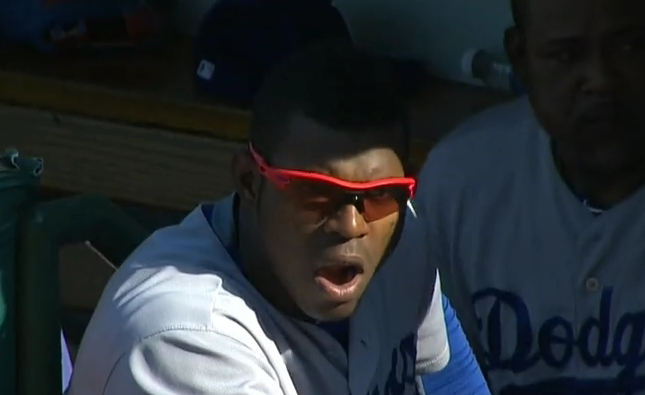 Yes, Yasiel Puig and Matt Kemp homered. Yes, Hanley Ramirez doubled twice. But the star of the day was A.J. 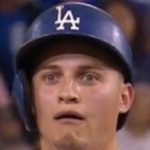 Ellis, who homered twice and made me think I was either still sleeping or accidentally ingested some hash brownies or something. 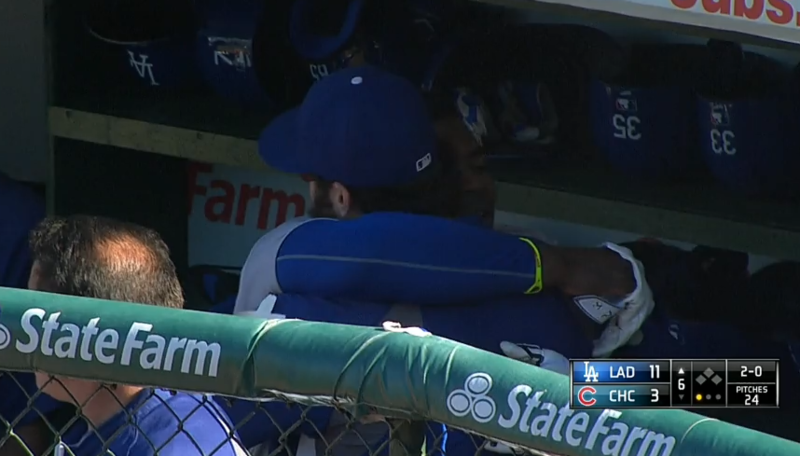 If I'd know I'd have proven such an inspiration, I would have called for Puig's benching back in August.